The first two books from the QJF Press were issued on the festive of the St. Jadwiga Queen’s Day. 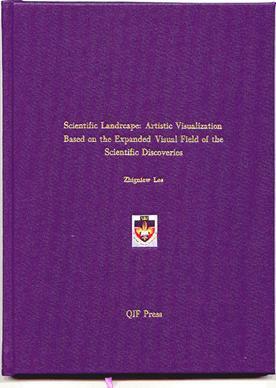 First one, titled “Scientific Landscape: Artistic Visualization Based on the Expanded Visual Field of the Scientific Discoveries” was issued on 8 June 2004. The second book titled “Queen Jadwiga” was issued on 8 June 2005. Books are sold within the fundraising activities of The Queen Jadwiga Foundation. Each edition (leather bounded) is printed and bounded in unique way and is sold with signature of the author. Each signed book has status of the work of art. We will send books immediately after receiving money on our account.